House Cleaning Service In Jesmond Denton Burn Westerhope Fenham. 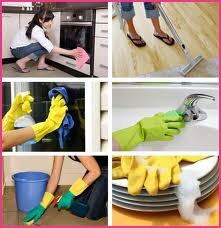 Sophie’s Jesmond house cleaning services offers professional domestic home cleaning services near you. Our cleaning company undertake all aspects of housekeeping and cleaning of residential homes. Call us now for prices and a quick free quote. Jesmond home clean case study. Sadly, some of our cleaning assignments come along as a result of bereavement. Sometimes an older person dies leaving behind a home that they may not have been able to keep up to the standards of their younger days. In one such case an elderly lady died and the family had decided that they would move into her home which they’d inherited. After a long life the elderly lady’s home had been filled with the mementos, bric-a-brac and possessions that you’d expect. The family had cleared all of this, giving much to charity and keeping the things they valued most. Mrs Russell explained all of this to us when she phoned one Tuesday morning. And she went on to say now that her mother’s home was cleared of possessions, she couldn’t face the task of giving it the deep clean which it needed. Of course we were happy to tell her that we could handle that with no problem. We made an appointment for the Thursday of that week. Mrs Russell said she and her family were planning to move in to the house in 10 days time so it wasn’t an emergency. Even so, as usual, we wanted to get the job complete for he family. Two of our cleaners arrived at the house at 9 o’clock in the morning. There was still a fair bit of furniture in the house, a handsome three-bedded detached home from the Victorian era. We carefully moved that so we could get in behind to clean. We started by taking down the curtains and sending them to the dry cleaner as instructed – they would be ready for collection later in the day when we’d put them back up. We gave all of the carpets a shampoo to freshen them up. The dining room had a beautiful parquet floor which we had been asked not to use any harsh cleaning products on. We cleaned away cobwebs, scrubbed the kitchen from top to bottom and got into every nook and cranny to clean out each room thoroughly. By the end of the day, the house was in immaculate condition with such a warm feeling. Mrs Russell was so pleased with our work and told us she was now really looking forward to moving into the house.